Casio Middle East, subsidiary of Japanese watch maker Casio, has announced the Middle East debut of the Limited Edition RANGEMAN GW-9400 in a unique ice-gray finish. This stunning version of the ever-popular RANGEMAN series is brought out in collaboration with leading snowboard brand BURTON and boasts the characteristic icy tones of the snowboard maker. The RANGEMAN GW-9400 with Triple Sensor conveys the challenging spirit of the snowy slopes and the inbuilt toughness that is characteristic of every G-SHOCK from Casio. The winter-styled watch features a standard LCD display and black coloring for the lettering, buttons, and front screws, plus a black ion plating for the band keeper (featuring Burton logo) and buckle. 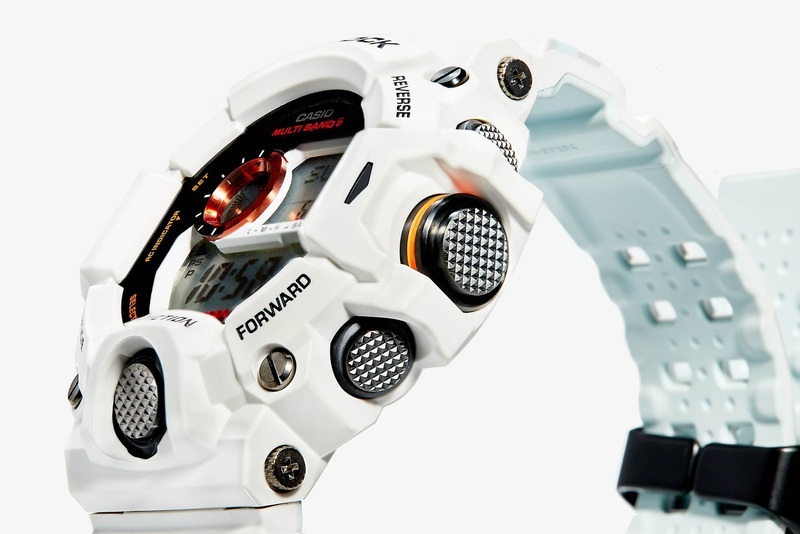 The watch also has emergency orange accents on the face and sensor button for better visibility in the snow. The band has a printed “digital winter camouflage” pattern with the inside of the band painted light blue. This camouflage pattern consists of white, gray, and light blue shades and looks like digital-style camouflage with its block-like design. The band has a carbon fiber insert which is an upgrade over the standard GW9400 Rangeman. The case back has a custom engraved Burton logo with the tagline “Standing Sideways Since 1977”. Burton Snowboards is the largest snowboard company in the world and was founded by Jake Burton in 1977. 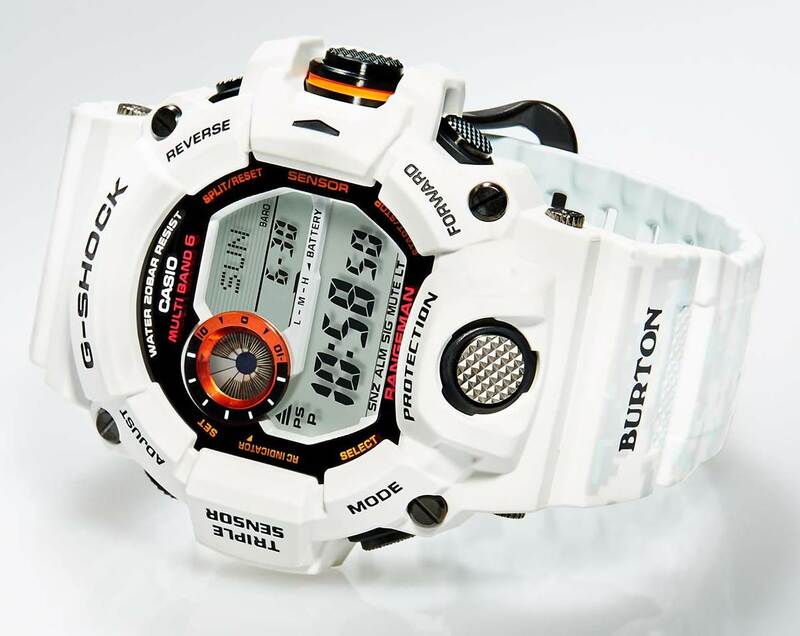 The GW-9400 Rangeman is one of the best-selling Casio G-Shock models and features shock resistance, 200M water resistance, Triple Sensor with altimeter-barometer-compass-thermometer, Tough Solar power with rechargeable battery, and Multi-Band 6 radio time-syncing. Other useful features for snowboarding and winter sports include low temperature resistance, sunrise/sunset data, and a guarded button design for increased protection against impacts.